Have you ever wished there was a dog DNA test you could use to prove your pet's parentage or heritage? Now there is. Find out just how easy it can be to learn more about your furry companion. Honestly, in this day and age of scientific advancements it was only a matter of time until researchers took all that they've learned about human genetics and began applying it to canines. If you can identify a perpetrator by a little DNA left in the saliva on the edge of a drinking glass, what else can you do with the info? Currently researchers are using DNA coding to identify specific genes linked to particular illnesses in hope of shutting off those genes before they become active. Just think of what this could mean to humanity, and eventually dogs as well. How Does Genetic Profiling Work? Dog genetics are similar to human genetics in that each gene is present in two copies, one from the mother and one from the father. These genes are inherited in a random process that results in pups displaying various traits from both parents. A dog DNA test can be used to confirm or contest the parentage of any pup when compared to verified DNA samples from the parents of record, but the latest tests go a step farther. A company called Canine Heritage has developed a dog DNA test that will reveal the genetic composition of your pet. In layman's terms this means confirming which breed or breeds are in your dog's ancestry. Imagine the ramifications for pet owners. People with mixed breeds will no longer have to guess whether their dog is a Cockapoo or a Puggle. People with purebreds can confirm the pureness of the bloodline for thirty-eight recognized dog breeds. While dog DNA tests cannot yet reveal the presence of specific genetic illnesses, they might be able to one day in the future. 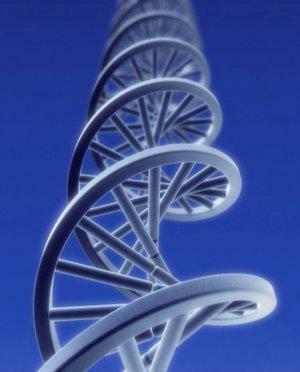 Most DNA testing does not require blood samples or other invasive procedures to procure a DNA sample. In most cases, a simple swabbing of the inside of your dog's cheek with a collection swab will gather enough material for testing. The swab is placed in a receptacle provided with the test kit, and sent back to the lab for analysis. Written results are typically mailed back to the owner within a few weeks. Although DNA testing provides some amazing results, the process is still in its infancy, and there are limitations on the accuracy of an individual test. If there are breed genetics present that are not on the current list of approximately 100 identifiable breeds, genetics may only be determined for more distant relatives in a dog's bloodline. These genetics may play little to no role in the animal's actual appearance, and have no bearing on potential health concerns. Primary: This category is reserved for results of fifty percent or greater for one of the recognizable breeds. Secondary: This category contains results of less than fifty percent of any recognizable breed, yet there is still enough genetic material present from one or more breeds to significantly influence your dog's make up. Mixed: This category is reserved for genetic results that have the least impact on you dog's make up, but are still present in sufficient amounts for identification. The cost of at-home DNA testing is relatively inexpensive because there are no veterinary fees involved. Kits average between $35.00 and $65.00, plus the cost of shipping. Would you like to order a test, or at least learn more about them? Just click on one of the links provided here. Canine DNA tests are required by the American Kennel Club for many of the applications listed above, but bear one thing in mind. No matter what the results are from any testing, your dog is still the same wonderful creature it always was, so don't let less than desirable test results color your feelings about your pet. Mixed breed or pure, your dog loves you just as you are. Don't you owe your pet the same unconditional acceptance?